Masternever and the Flow of Death, written by Clarke Illmatical. A young master in Chinatown, New York City, goes on a quest to add his style to an ancient legacy known as "The Neverending Masters." 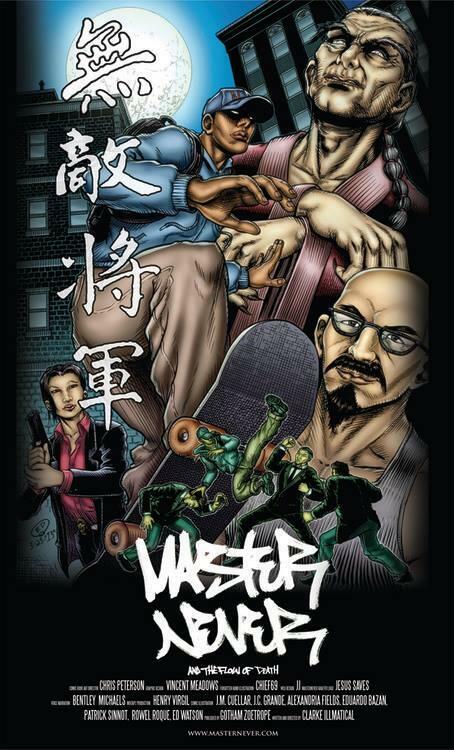 During his journey, he is confronted by a wizard and several kung fu masters who are determined to obtain his power. 220 pages, featuring artwork by an international team of all-star illustrators.